You can find out the cost of installing a resin drive here by answering a few questions. We need to know the size of the driveways area. What is your existing driveway surface? Will we need to install edging to your new driveway? What type of aggregate are you looking to install and the required depth. Will the aggregate be combined with UV stable resin or Non UV stable resin? Does your existing driveways have easy access? A major cost factor is related to your existing driveway surface. Is it concrete or tarmac? What level of cleaning, levelling preparation and repair is needed to bring it up to the standard required for it to be classified as a perfect sub-base. We will always try to save you money and opt for a resin drive overlay whenever possible Block paving will be looked at carefully as to whether it can be classified as a perfect sub-base or if it needs to be excavated. For a grassed or stoned area, the area will have to be excavated; an MOT compacted stone based installed with a membrane, before installing a perfect resin driveway sub-base. Edging is essential in maintaining a neat and high quality finish and savings will be made if existing edgings are in place. If not any type such as bricks, blocks, paving slabs, timber or a wall will enhance and show of your resin driveway. Not all aggregates are the same. We select the finest kiln dried aggregates which have been thoughtfully combined together to give you the fabulous kerb appeal you deserve. As a safety led business we ensure that all surfaces are laid to meet with BS 7976-2 guidelines. Our aggregates range from a 1-2mm, up to a 10mm aggregate. It’s established that the depth must be 3 times the largest aggregate size, so a 2-5mm aggregate would be installed at a minimum of 15mm, while a 10mm aggregate would have to be installed at a minimum of 30mm. There are two resins types available on the market. UV stable resin and UV non stable resin. If you’re looking to save costs, and go cheap you would use UV non stable resin however your driveways will discolour and yellow over time. If you want to protect your aggregate from discolouration than you would use UV stable resin. We have a large range of colours to choose from to give your home that special look and your resin driveway will not fade over time when exposed to the harshest light from the sun. This is due to the fact that we use only the very best UV stable resins. Some driveways, pathways and patios are harder to access and may have awkward layouts. Which is why we always need to survey and inspect the job to be able to deliver the best possible price. The team have been in the Construction and Home Improvement Industry for many years and have a reputation for outstanding work of the highest quality. We work closely with all clients and are always involved from start to finish with each project, so as to enable any potentially difficult areas of your driveways project to be fully anticipated and agreed prior to start on site. This is very important on complicated “One-Off” driveway construction where you, the client are looking to delivery an element that requires the utmost attention to detail. We are all fully involved in the operational issues, including client liaison, development and project management and really enjoy working with you to fulfil your requirements. We get real pleasure handing over finished projects that not only meet with, but often exceed your expectations. 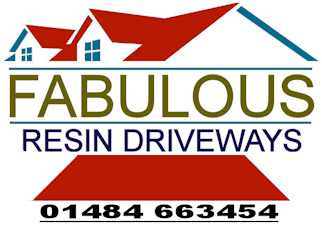 We at Fabulous Resin Driveways believe that our “Can-Do” attitude, combined with our ability to recognise when specialists are required for a particular element of work, really make us unique and is a skill that sets Fabulous Resin Driveways apart from any other contracting organisation. Clayton West, Denby Dale, Emley, Fenay Bridge, Kirkburton, Lepton, Scissett, Shelley, Shepley, Skelmanthorpe, Birdsedge, Brockholes, Hepworth, Holme, Holmfirth, Honley, Meltham, Scholes, Upperthong, Wooldale.